Welcome back, nurses, students and innocent bystanders! It's been too long. 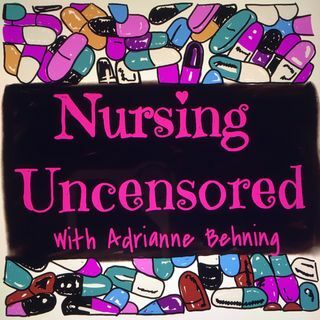 In episode 18, Adrianne is joined by nurse and writer, Ashley Hay. In this conversation, they explore the adventurous nature of nursing, the delicate sci-fi ballet of proton therapy, beginning and maintaining a writing career, and keeping the focus on self-care while caring for everyone else. Most shocking, Adrianne manages to go an entire hour without cursing. It's an early holiday miracle! Listen, ... See More subscribe and share. Thanks again to Ashley for joining us on Med Room Chronicles.